NTT Communications announced the world’s first deployment of 100 Gbps digital coherent technology on a transpacific submarine cable system linking the U.S. and Japan. The design capacity of the company’s PC-1 system has now been boosted by more than 2.5 times to 8.4 Tbps. NTT Comm said the upgrade was made possible by optically optimizing the PC-1’s network architecture, including with strategically placed optical repeaters and an enhanced optical fiber layout. By the end of 2014, 100 Gbps optical transmission technology also will be deployed in NTT Com’s Asia Submarine-cable Express (ASE), which links major cities in Asia via the shortest possible route for industry leading low latency. In October 2011, Infinera and Pacific Crossing, a wholly owned subsidiary of NTT Communications, completed a 100 Gbps trial using the PC-1 transpacific submarine cable system. The test spanned more than 9,500 kilometers from California to Japan. Infinera said this trial demonstrates the unique ability to deliver two industry firsts. The 100 Gigabit Ethernet (GbE) demonstration was the first transmission of a 100 GbE client service carried across the Pacific using 40 Gbps optical channels with Infinera's FlexCoherent transmission. The success of this trial was based on Infinera's commercially available 40 Gbps optical line module and 100 GbE client interface on Infinera's DTN platform. The second demonstration was the first realization of a 100 Gbps optical channel using binary phase shift keying (BPSK) with soft decision forward error correction (SD FEC) . 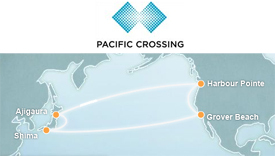 In 2009, NTT Communications acquired Pacific Crossing, which built the PC-1 trans-Pacific undersea cable network. The system has landings at Harbour Pointe, Washington (near Seattle); Grover Beach, California (between San Francisco and Los Angeles); Ajigaura, Japan (near Tokyo); and Shima, Japan (near Osaka and Nagoya). In March 2008, Fujitsu and Pacific Crossing completed an upgrade project that more than doubles the capacity of the 21,000-kilometer PC-1 trans-Pacific fiber optic submarine cable network. The project, which began in September 2007, involved the installation of Fujitsu's FLASHWAVE S650 submarine wavelength divisional multiplexer equipment in Pacific Crossing's cable landing stations, and the upgrade of the overall capacity to 1.98Tbps, of which 1.01Tbps is available on the two Trans-Pacific segments. The ITU-T Study Group 15 has granted first stage approval to G.fast (ITU-T G.9700), a new broadband over copper standard that promises up to 1 Gbps rates over copper lines at a distance of up to 250 meters. G.fast, which is a successor to ADSL and VDSL technologies, uses 100 MHz wide channels. In addition, G.fast will enable self-installation by consumers without a technician’s assistance. The ITU-T said the G.fast effort has attracted active participation by a large number of leading service providers, chip manufacturers, and system vendors. Final approval of G.fast is expected in early 2014. "G.fast is an important standard for service providers globally,” said Tom Starr, chairman of ITU-T Study Group 15, Working Party 1, which oversees the G.fast effort. “Service providers will be able to deliver fibre-like performance more quickly and more affordably than with any other approach." "Since the early days of the World Wide Web, people around the world have accessed the vast resource that has become the Internet via ITU standards. I applaud our membership for continuing to show great leadership in the development of these specifications that bring broadband into our homes at ever increasing speeds and at ever greater efficiencies,” stated Hamadoun Touré, Secretary-General, ITU. Alcatel-Lucent announced a new performance/distance record for optical transmission. Researchers from Bell Labs have successfully sent 31 Terabits-per-second (Tbps) over a single fiber over a distance of 7200 km. The test achieved with a distance between amplifiers of 100 km. The test used 200 Gbps single-carrier data channels in a DWDM system with 155 channels in a 50 GHz frequency grid. Details of the experiment were presented in a post-deadline paper presented earlier this month at Opto-Electronic Communication Conference (OECC) conference in Japan. Avago Technologies's new 28nm Serializer/Deserializer (SerDes) core has achieved 32 Gbps performance while withstanding up to 40 dB of channel loss. The company says this level of performance will redefine the data rate feasibility for chip-to-chip, portside and backplane interfaces. The new 28-nm Avago SerDes cores feature a unique decision feedback equalization (DFE) architecture, resulting in a number of key performance differentiators such as low overall power, best-in-class data latency, and best-in-class jitter and crosstalk tolerance. "Avago has now shipped over 350 million embedded SerDes channels in high performance ASICs and ASSPs,” said Frank Ostojic, vice president and general manager of the ASIC/ASSP Products Division at Avago. “With our latest SerDes milestone, Avago continues to provide early access to IP that enables the development of products that meet today’s requirements for ever increasing bandwidth." CloudVelocity, a start-up based in Santa Clara, California, raised $13 million in Series B funding for its cloud migration software. CloudVelocity, which emerged out of stealth mode in December 2012, has just released its One Hybrid Cloud software, which makes Amazon Web Services (AWS) a secure and seamless extension of enterprise data centers. The automated cloud migration and disaster recovery software lets enterprises run their existing and new Linux and Windows multi-tier and multi-system apps without modification in the AWS cloud. 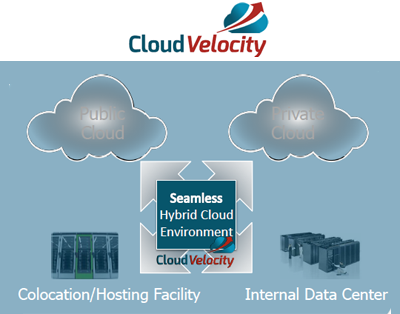 CloudVelocity said that unlike image or template-based tools, its software automates the entire process from discovering the constituent hosts, blueprinting of system components and configuration, provisioning of cloud resources, continuous replication and synchronization of the entire app stack (including operating system, kernel, app software stack, and app data), service initiation in the cloud site to extending infrastructure services (like LDAP and Active Directory), all with a single click. The company also said that its plans include extending its cloud migration solution to other public cloud providers. The new funding round, which brings the total raised by the company to date to $18 million, was led by Third Point Ventures. Pelion Venture Partners and previous investor Mayfield Fund also participated. AT&T is preparing to launch a smartphone upgrade program that lets customers upgrade once per year with no down payment, no activation fee, no upgrade fee and no financing fees. AT&T Next allows customers purchase a smartphone or tablet with no down payment and agree to pay monthly installments for the device. After 12 payments, they can trade it in and upgrade to a brand new device — again with no down payment — or they can keep using their device and have no more payments after 20 months. The interest-free monthly device installments range from $15 to $50, depending on the device selected. 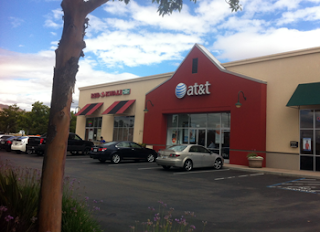 "With AT&T Next, customers can get the newest smartphone or tablet every year with no down payment. That’s hard to beat, and it’s an incredible value for customers who want the latest and greatest every year," said Ralph de la Vega, president and chief executive officer of AT&T Mobility. 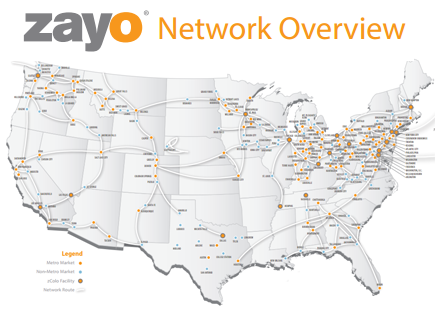 Zayo is adding over 5,000 fiber miles to its metro network in the San Diego market, adding capacity on existing routes, as well as extending into the surrounding communities of Oceanside, Encinitas, Del Mar and Escondido. The new network will provide access to important carrier, healthcare, technology, energy and government locations.